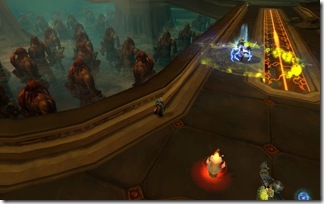 Back at Blizzcon we received an announcement from the devs that they were implementing new ways to reduce the wrath of the “additional instance” boss, which was already in place on many realms at the time of the convention. As many of you may have noticed this seems to have gone off pretty well and I think at least for now the instance door boss has been put down. Lets hope his respawn timer doesn’t come back up anytime soon, but so far so good. People have been able to farm Headless Horseman to their hearts content and daily heroics don’t see us spending 45 minutes waiting to just zone in. At the con they also announced that they were going to refine the LFG system as well as add in cross server LFG capabilities to the game. Well in patch 3.3 PTR we are seeing the beginnings of the system. I for one am incredibly excited and can’t wait to see how this feature shapes up. As it stands you can use the system to go into a completely random group, or you can party up with a couple people and random the rest. You can choose your spec or role that you can fill just like in the current LFG system, but now you have the option of assembling a completely random group from different servers, and you get an option to sign up to lead the rag-tag band of misfits you aquire. As a reward you’ll receive a number of Frost Emblems and a helping of gold for your time and trouble. That alone is a good incentive to use the system as money and badges are always a good thing. For me the biggest draw of this is the cross server interaction. They put that together for us back in an attempt to balance out Battle Grounds (which more or less worked but that’s a topic of debate for another day). Now the idea of being able to go directly to the instance with people pulled from the other servers of my battle group excites me. I can’t tell you how many times I’ve had a group ready to go but missing a tank, and there were none to be found. I just imagine a tank on another server unable to find a group kicking his can around wondering why no one wants to play with him. With this new system, the problem is lessened in theory. 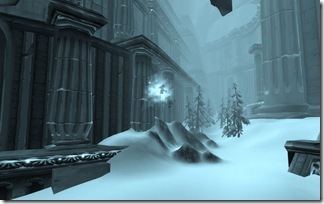 With the amount of badges we’ll likely need when Icecrown drops this will help ensure you’re able to find a group. In a nutshell this will help eliminate those times where you’re sitting around for hours waiting for a group to do something. Just hit a button and shortly thereafter you’re off on a new adventure. This is also important because there are also plans to use this for raids as well, at least the random group part, but not the cross realm part. Right now the interface for it is buried in the PTR (you can dig and find if you like). This is good for people like me with an army of alts. There are a ton of raids I would love to run on my hunter, like I would love to run her through naxx, but I can never find a group. This would also help struggling guilds that are having trouble filling in the last couple slots of their roster for a raid, just pop open the tool and find a few more folks to join in the fun. I’m really excited about this feature and I think it will open up a lot more of the game for many people. It will allow greater accessibility to the content of the game for people that otherwise might not have been able to see it. What do you think? Like it? Hate it? What do you expect from it? Will you use it? Mark this post as read if you want to remain in the dark. For every one else, I had the screenshots in my library for quite a while. ItÃ¢â‚¬â„¢s no fun listening to audio streams and listening to Ã¢â‚¬Å“OohsÃ¢â‚¬Â, Ã¢â‚¬Å“AhhsÃ¢â‚¬Â, and applause without getting to see it. Check out the last shot, too. I donÃ¢â‚¬â„¢t know if anyoneÃ¢â‚¬â„¢s ever mentioned that yet before. I found it interesting. 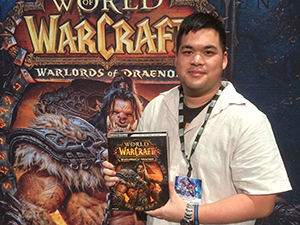 Left: HereÃ¢â‚¬â„¢s a shot of Malygos in his humble abode. 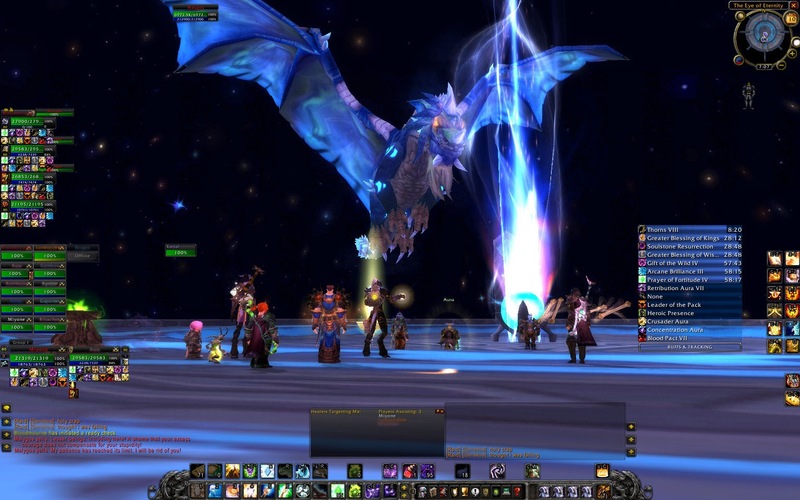 The raid instance is literally a giant disc with Malygos flying around until you activate him. ItÃ¢â‚¬â„¢s a 3 phase encounter. I havenÃ¢â‚¬â„¢t successfully completed him yet so I canÃ¢â‚¬â„¢t offer much at this time. Right: Me in my awesome attempt to try and do something. Alas, Malygos is overpowered and promptly kills us a matter of minutes. 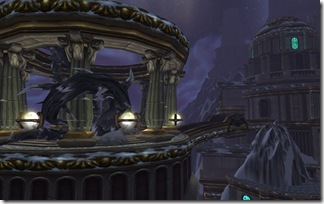 Left: This is a shot of Obsidian Sanctum. 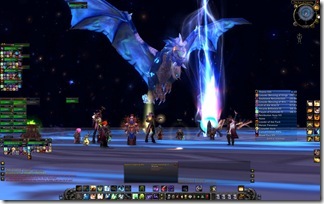 Here is a shot of the party engaging the mini-bosses. Right: YouÃ¢â‚¬â„¢ll notice the phasing mechanic put in play. Even though it Ã¢â‚¬Å“looksÃ¢â‚¬Â the same, I get thrown into a different dimension. Here, I have to kill that shifted drake along with the Rogue or else something bad happens. I donÃ¢â‚¬â„¢t actually know what. Left: WeÃ¢â‚¬â„¢re taking on Sartharion. The guy hits like a pansy. For the raiders, take a good look at positioning in terms of tank, boss, and group. ThereÃ¢â‚¬â„¢s a good reason for it. Right: Ã¢â‚¬Â¦ Because every so often, a big wall of fire is going to rake the island that weÃ¢â‚¬â„¢re on. Notice thereÃ¢â‚¬â„¢s a hole. 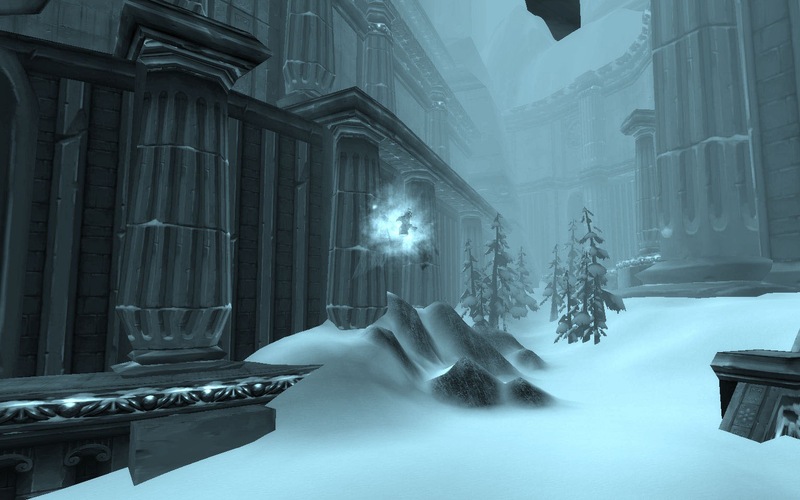 Right when the wall warning occurs, the entire raid needs to ensure theyÃ¢â‚¬â„¢re in one of the two Ã¢â‚¬Å“safe zonesÃ¢â‚¬Â (on the left and on the right, by his tail, if you look carefully). If you eat the fire, you get knocked back and take a non-pansyish amount of damage. Left: One of the old guys, I think. WouldnÃ¢â‚¬â„¢t dare hit a Dwarven brothaÃ¢â‚¬â„¢ from anothaÃ¢â‚¬â„¢ mothaÃ¢â‚¬â„¢. But I donÃ¢â‚¬â„¢t dare test out my hypothesis. Right: Another shot of the exterior. Place looks b-e-a-utiful. Left: Interior shot of Halls of Lightning. See those Dwarves on the left? ItÃ¢â‚¬â„¢s the Terra Dwarva army, baby! Left: Lastly, check out this interesting shot. ItÃ¢â‚¬â„¢s right after a wipe and after I released spirit. When you died in Tempest Keep, youÃ¢â‚¬â„¢d automatically res to full health and life outside. 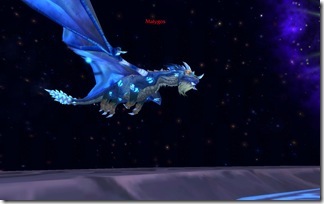 But if you die out in the Halls, you seem to res in spirit form while mounted on Ghostly Gryphon. 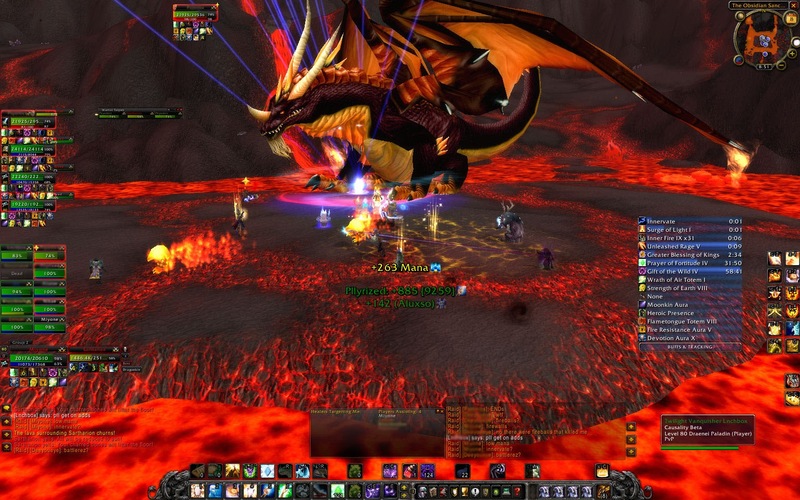 Last night, I had the pleasure of working with some of the most skilled players in beta and we were able to clear out Heroic Naxxramas (otherwise known as 25 man Naxx). Let me tell you about my initial impressions, what I love, and what I hate. @honorshammer Are you seeing much disparity in healing tanks of various classes? Hope the above question helps! Love your blog by the way ;). my mana regen. 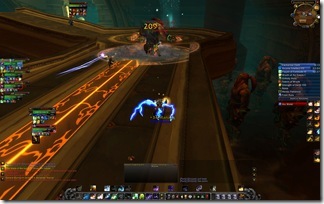 I took a look at one of the other Resto Druids and he was sporting a jaw dropping 1500 mana regen while not casting. In my PvP gear plus other assorted PvE epic items, I hit around 600+. 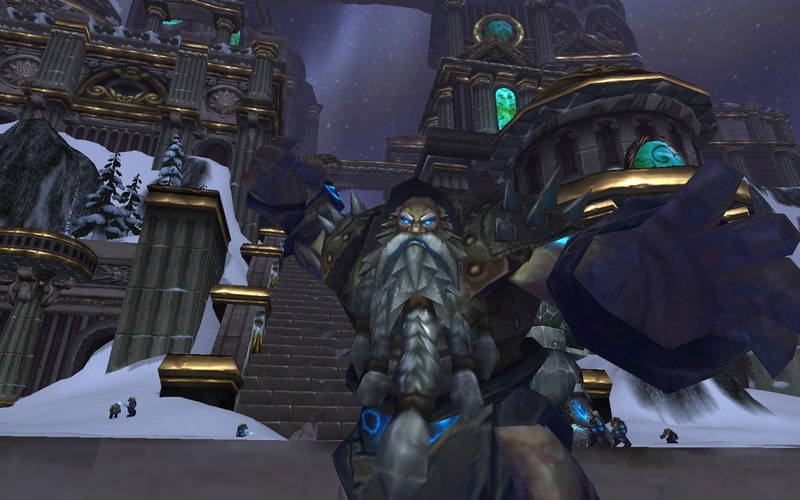 how Priests will be virtual requirements for Heroic Naxx. 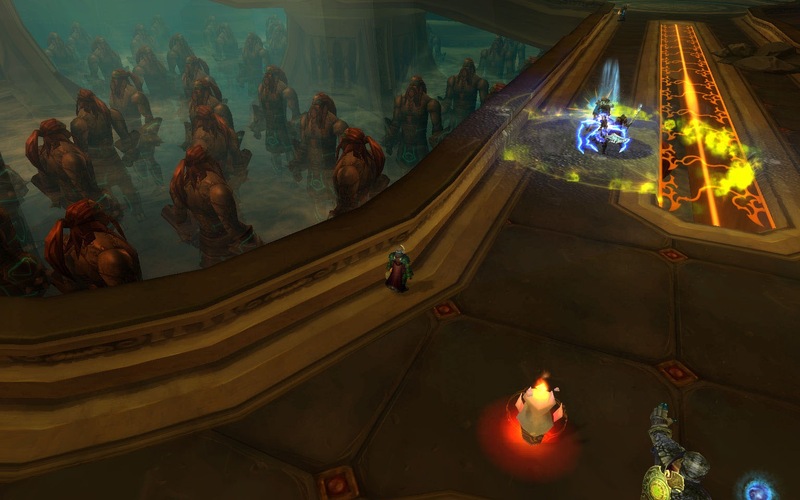 You can get away without having other classes at all, but you need Priests for 2 of the encounters because we have to Mind Control certain mobs in order to successfully do them. Sapphiron. 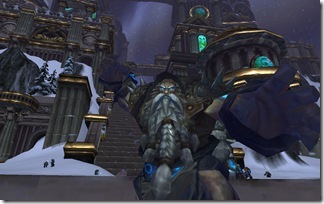 HeÃ¢â‚¬â„¢s the 2nd to last boss in Naxx and heÃ¢â‚¬â„¢s going to be a huge headache. 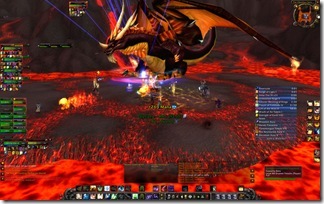 how the bosses drop between 4 Ã¢â‚¬â€œ 6 pieces of loot (some of them are tier bosses). how people complain about not getting the loot they want because its freakinÃ¢â‚¬â„¢ beta and you donÃ¢â‚¬â„¢t get to keep it anyway! If itÃ¢â‚¬â„¢s a Guild run, I can see the time knocked down to about 6 hours or maybe even 5. Obviously if you over gear the place, then I wouldnÃ¢â‚¬â„¢t be surprised to see it drop down to even 4 and a half. 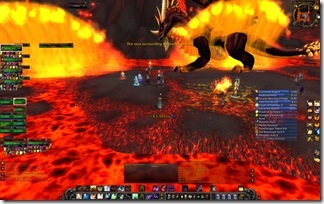 But suffice it to say, I suspect most guilds will take at least 2 days to clear the instance and learn it. Your mileage may vary. We only had 1 Rogue and 1 Warlock. Our raid was stacked with an abundance of Death Knights as you can see above and all of them made up the top 10.
the DPS averages. 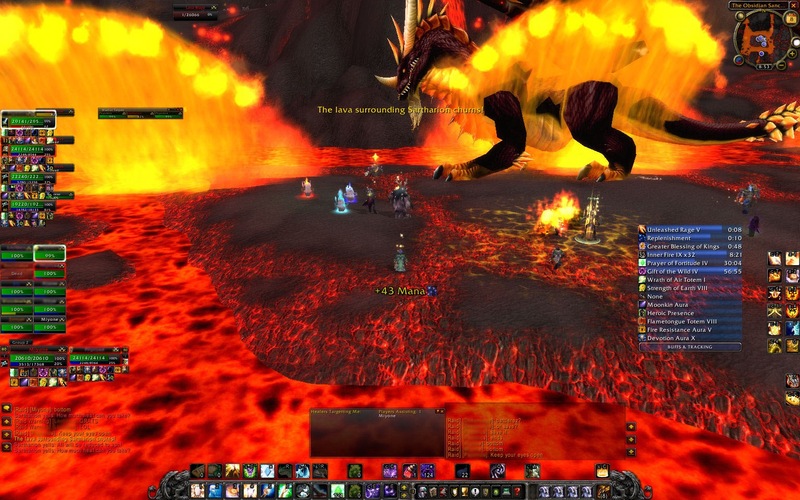 Again, scroll back up and look at the DPS on the side, not the damage done. You should be pushing over 2000 DPS when you enter Naxx. Of course, I might take that statement back later. Who knows? But IÃ¢â‚¬â„¢m just going by what IÃ¢â‚¬â„¢ve seen thus far. Repeat after me: MASS OH PEE. ThatÃ¢â‚¬â„¢s a Resto Shaman above me there and my own Prayer of Mending. this whole loot homegenization thing but I understand it. I started a discussion on Plusheal about how to tell whether or not you should roll on certain cloth gear or to pass on them. Wyn will be exploring this topic at some point later on, as well. It feels weird for casters to roll on gear. But I accept it and I understand it will be better in the long run. Over the coming weeks, IÃ¢â‚¬â„¢ll be doing detailed healing guides for the normal and heroic versions of Naxx and Obsidian Sanctum. YouÃ¢â‚¬â„¢ve seen a sample of them earlier when I published a few of the 10 man ones. TheyÃ¢â‚¬â„¢re not designed to replace WoWWiki or Bosskillers guides. What theyÃ¢â‚¬â„¢re meant for is to provide you (the healer) with the knowledge that is relevant to you in order to keep your raid alive. IÃ¢â‚¬â„¢m most likely going to miss out on a few abilities but IÃ¢â‚¬â„¢ll be sure to nail all of the ones that are important including all major boss mechanics. Yesterday night, I took a boat load of screenshots, recorded vent when the raid leader was delivering explanations, and I have a plethora of notes all across my desk with diagrams, and post-its scattered all over the place. By all means, if youÃ¢â‚¬â„¢d like to savor the learning experience yourself, go for it. IÃ¢â‚¬â„¢ll be here if you need a quick pointer or two to help you out. Which is what this blog is for. Questions? Comments? What else would you like to see? Will the Canucks make the playoffs this season? Will Brady get usurped? Do you require more Vespene gas? Are you, in fact, a hollahback girl? Will I ever stop beating myself up over the 7 questions I know I for sure got wrong out of 50? Big shout out to Totodile for having to put up with the various morons in the raid, as well as organizing and quarterbacking the whole show! BETA: Instance Discipline Talents: Did Matt Choose Right? Note: If you wish to avoid reading about beta related information, feel free to navigate away or mark this post as read. 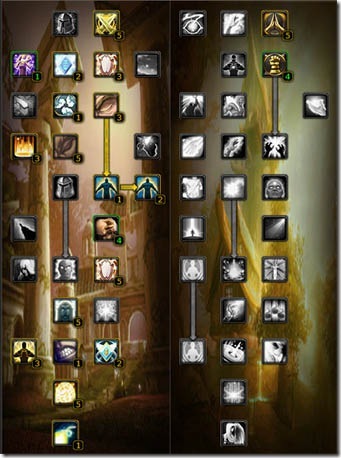 You might be thinking to yourself upon closer inspection that this isn’t a leveling spec. 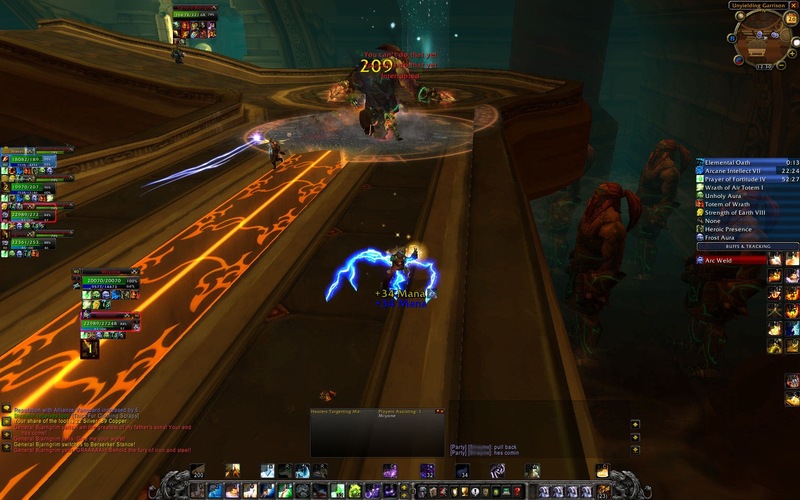 My colleagues at WoW Insider asked me if I wanted to help them heal a run tonight in Utgarde Keep and I responded with an immediate yes! As a result, I’ve picked my talents out as best I could with a strong emphasis towards the Discipline tree to find out how it plays. I’m contemplating liveblogging the run later on tonight when I go in there (it’ll be around 10 PM PST). Notice that I intentionally skimped out on Power Infusion because out of the 5 classes, I’m the only caster that would be able to utilize it. I don’t think I’ll really need it at all and none of the other players will use it anyway. Remember, this is not a leveling build. 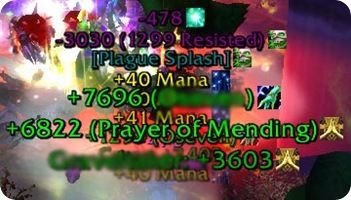 I just picked this set of talents out to try out Disc healing out of the box as a 70.